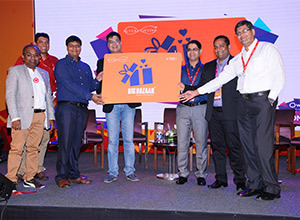 Future Gifting joins hands with the Future of Gifting! Qwikcilver is thrilled to announce the launch of the Future Group Gift Card, one of the most prestigious associations for Qwikcilver. 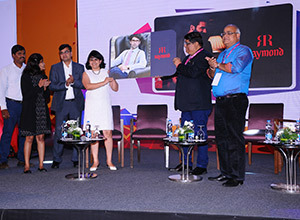 Future Group is one amongst India’s largest retail conglomerates with well entrenched brands likes Big Bazaar, Food Bazaar, Brand Factory, Central etc. Every day, Future Group brings multiple products, opportunities and services to millions of customers in India through more than over 17 million square feet of retail space, spread across more than 240 cities across the country. Qwikcilver is proud to launch the Raymond Gift Card Program. Raymond Apparel Ltd. ranks amongst India's largest and most respected apparel companies. Raymond is home to some of the country’s most fashionable and stylish brands – Raymond (Ready-To-Wear), Park Avenue, Parx, Colour Plus and Notting Hill. Gifting the “complete man or woman” has now become that much easier with the launch of this prestigious program. Time to head to the movies! Qwikcilver is proud to announce the launch of the INOX e-Gift Card Program. With the INOX gift card you have a choice of gifting a movie experience at 118 multiplexes and 468 screens in 58 cities. 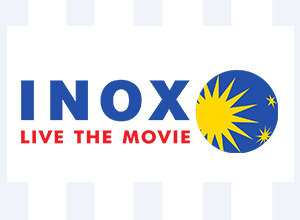 With INOX continuing its expansion into places like Kolhapur, Coimbatore and Cuttack while adding new screens in Delhi NCR, Bengaluru, Chennai, Kolkata and Jaipur among others, the list of choices in movies and screens are on the rise.